Graduate students in STEM departments shared stories about sexual harassment in the lab, issues with advisers, and unsafe working conditions at a discussion hosted by the graduate student union Wednesday night. The event, called “Power in the Lab: A STEM Grad Student Conversation,” focused on power dynamics within research labs. 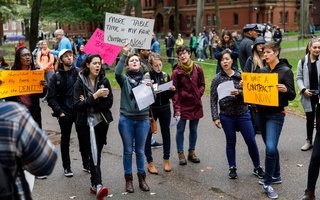 Harvard Graduate Women in Science and Engineering, Chemistry Graduate Student and Postdoc Council, the Physics Graduate Student Council, and the Applied Physics Graduate Student Council — all affiliated with disciplines that had students generally opposed to the union before last April’s election — co-sponsored the two-hour event. The conversation drew 25 participants, representing 10 distinct fields in STEM and the social sciences, from physics to economics. Discussion leaders and graduate student union bargaining unit members Jocelyn Fuentes and Cole M. Meisenhelder started the meeting by sharing the Office for Sexual Assault Prevention and Response hotline before arguing that STEM fields are uniquely susceptible to “dysfunctional” power dynamics. They spoke on issues of authorship, fickle research funding, overbearing principal investigators, and a culture of stoicism and isolation. “A lot of people have managed to get to Harvard by ‘getting along’ in the situation they are put in,” Meinsenhelder said. He discouraged graduate students in STEM from resigning themselves to what they see as indignities and instead advised attendees to change cultural norms and challenge established Ph.D. advising structures when necessary. Throughout most of the event, Meisenhelder and Fuentes invited participants to share testimonials in an effort to create a more supportive and open STEM graduate student community. Several participants said they were forced to accomodate more senior lab members. Participants also took issue with the fact that graduate students’ right to neutral third-party arbitration does not apply to sexual harassment, discrimination, and bullying complaints. 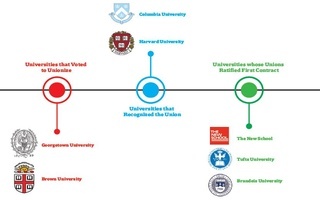 Throughout nine bargaining sessions, the union has repeatedly asked Harvard to replace its current sexual harassment response policy with a neutral third-party arbitration policy, which puts the judgement of the facts and final verdict outside of the University’s control, but often results in necessary meetings between accuser and accused. The University has opposed such a policy and has instead suggested that union representatives be appointed to committees that could recommend changes to the University’s current Title IX policies. 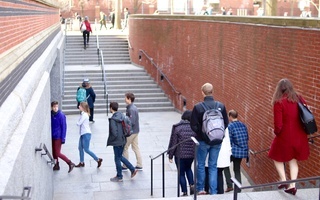 Meisenhelder said the union held the event to address issues that disproportionately affect graduate students in STEM departments — many of whom did not support unionization. Earth and Planetary Sciences student Aleyda M. Trevino and Biophysics student Frederick B. Shipley said the event left them with a better impression of the union. 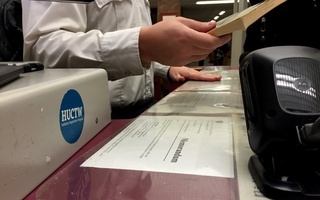 “I think it’s become evident that the union has been working towards considering the rights of minorities that are in problematic situations and getting them more support,” Trevino said. —Staff writer Luke A. Williams can be reached at luke.williams@thecrimson.com. Follow him on Twitter @LukeAWilliams22.